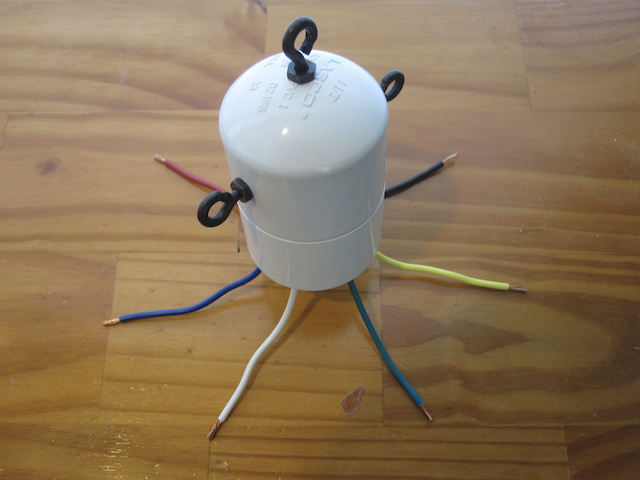 I built my own “universal” matching transformer for connecting dipoles, beverages, loop antennas, etc. to coax cable, rather than having to wind several transformers and test each to see which impedance ratio provided the best match. After some interest from others who wanted one, they’re now available for purchase. Each contains a tapped transformer, providing many winding ratios, matching a range of impedances. Each tap on the transformer comes out via a color coded wire, making it easy to determine which pair to use. You can also just go through the various combinations, to find best pair to use. The output is a standard SO-239 socket, which you can directly plug coax with a PL-259 connector into. Or you can use an adapter if you have different coax, I tend to use RG-6. That’s a 75 ohm cable, but it’s fine to use here because I can still select a tap that matches the impedance. For a dipole antenna, one wire goes to each leg of the dipole. For a loop, connect to the two wire ends. For a beverage, one wire to the antenna, the other to the ground rod. And so on. Note that the transformer is only designed for receiving applications, not transmitting. The transformer has three isolated eyebolts. 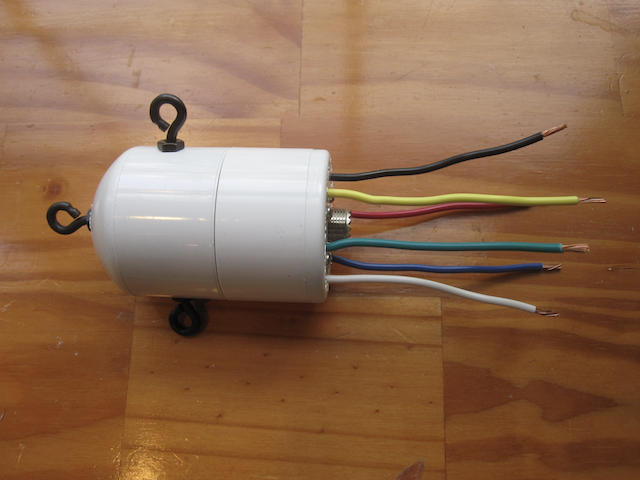 Two are used for the antenna connections to take the strain off the tap wires (don’t just directly connect to them) and the third to hang the transformer. Unused taps should be covered with electrical tape, so the wire does not corrode. More details as well as ordering information on The Squid page. 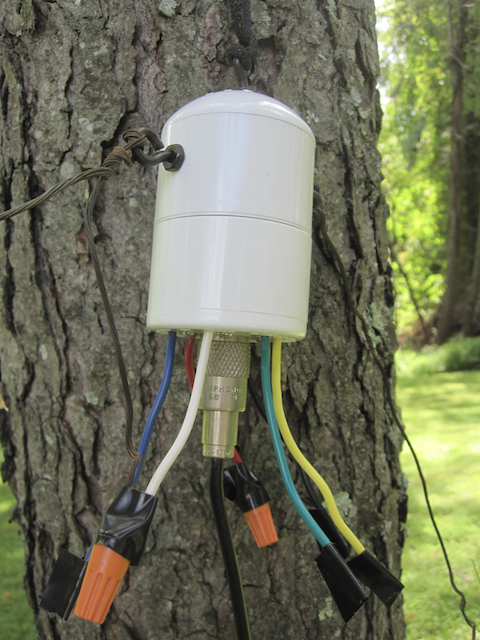 This entry was posted in Antennas, Electronics, Longwave, Shortwave by Chris Smolinski. Bookmark the permalink.